We are pleased when we announce that families in 1, 2 or 3 more towns now have access to Spark Jump subsidised pre-pay wireless broadband, so their children can keep up with the digital skills they need today. But today we’re delighted to announce Spark Jump is available in 17 more towns, and 26 more are in the pipeline! This nearly doubles the number of communities where families can get Spark Jump. This huge increase is mainly due to libraries (and community organisations) realising that local families people need Spark Jump, and that delivering it fits well with their purpose and capabilities. Plus all the hard work of Sue Kini’s 20/20 team, and the Spark Foundation: the 20/20 Trust provides coordination, assistance, training and publicity material, and access to a booking system whilst Spark Foundation and other partners provide the modems, a subsidised internet service and publicity. This is all for free, as part of our work for digital literacy and digital inclusion. Spark’s 4G network already has wide coverage, so the limiting factor is finding enough organisations to volunteer to deliver the workshops and helping them get going. The 20/20 Trust partnered with Public Libraries of New Zealand (PLNZ) to facilitate digital literacy and inclusion initiatives in libraries. 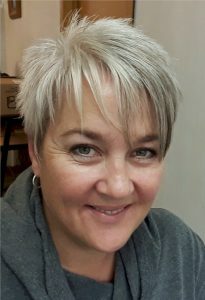 Sue Kini is keen to help more libraries get involved in Spark Jump and in the Stepping UP digital skills programme, another big hit with libraries. Sue says the long term goal is to see such programmes in all 300+ libraries.